Subject: "Ways to View the Site" This topic is locked. Mesg #21 "Ways to View the Site"
Did you know there are at least two ways to view the site? The classic view and the dcf view. Please note that your screen view is opposite of what you can see at the top of your screen. 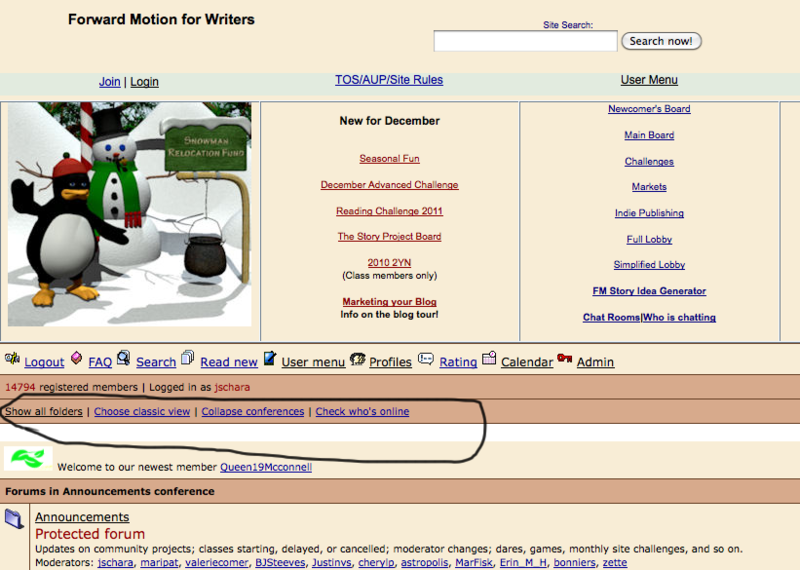 Note on the Classic View screen shot that Choose dcf view is circled. On the dcf View, Choose classic view is circled. If you're looking at the menu line in the FAQ menu (right now), you'll see the opportunity to select either collapse topics or expand topics. If you toggle that "switch" in the FAQ view, all you'll see are "+" signs in front of each post. That's because we don't have a lot of "depth" on our posts in this forum. When you go back to the Main Discussion forum (or another forum with a lot of "conversation," toggle the switch to see which version displays the site in a way you prefer.